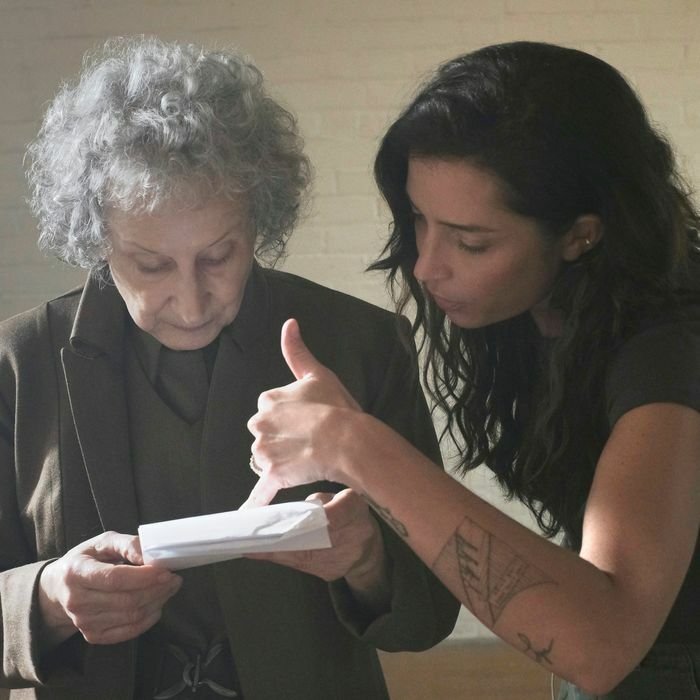 Margaret Atwood and Reed Morano on the set of The Handmaid’s Tale. Blessed be the fruit! 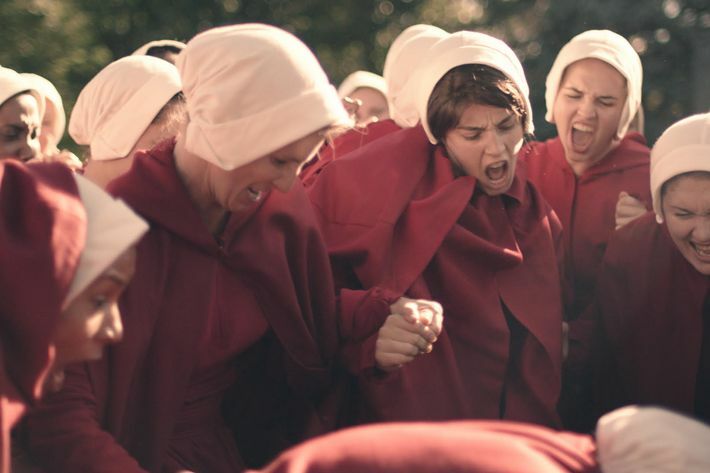 The Handmaid’s Tale won the Emmy for Outstanding Drama Series — surprising no one who’d seen it claim seven other awards in the lead-up. 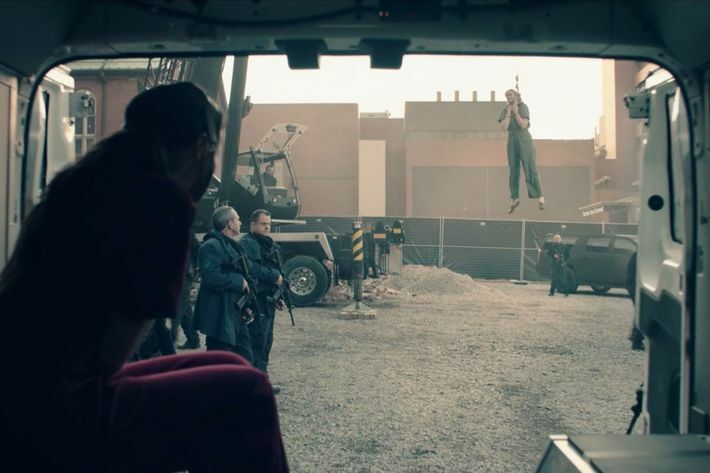 What tied the series together and made its look so striking and memorable was Reed Morano’s (also Emmy-winning) direction of the first three episodes. In what may or may not be a sign of progress, that makes her the first woman to win in that category since Mimi Leder for ER in 1995. She’s also, impressively, the youngest member of the American Society of Cinematographers’ vastly male body, and a television newbie, with previous work in independent films like Frozen River (as a DP) and her directorial debut, Meadowland. It’s a giant task to direct the first three episodes of a series because it’s essentially creating a road map for all other directors of the show to follow. 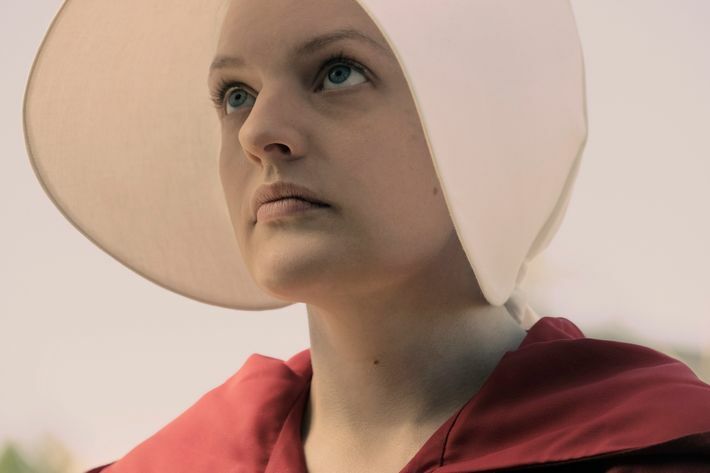 For Handmaid’s, Morano used tight close-ups on the handmaids’ faces to illustrate their confinement, and a washed-out palette that made Gilead seem to be perpetually overcast, to match the mood of life there. “We tried to get our voice in the first three episodes so that after I left, everybody would know what to do,” Morano says. She consulted with Michael Barker (episodes 4 and 5), and Floria Sigismondi (episodes 6 and 7), but beyond that, had to hope that the strength of her work would be enough of a guide for the directors to come. Right after the Emmys, Morano jetted off to Ireland, where she’s in preproduction for The Rhythm Section, a female-assassin thriller starring Blake Lively, based on Mark Brunell’s British “Stephanie Patrick” novel series. She’s also still editing the movie she shot this summer after Handmaid’s, 2018’s I Think We’re Alone Now, “a post-apocalyptic film about human connection,” as she describes it, that she directed, starring Peter Dinklage and Elle Fanning. She and Moss are also looking for something else to develop together. 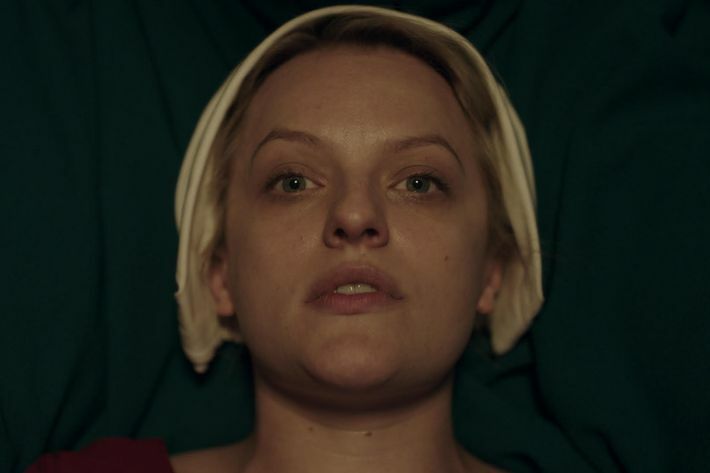 No word yet on if she’ll direct anything in season two of Handmaid’s, but, she says, “We’re working on it. 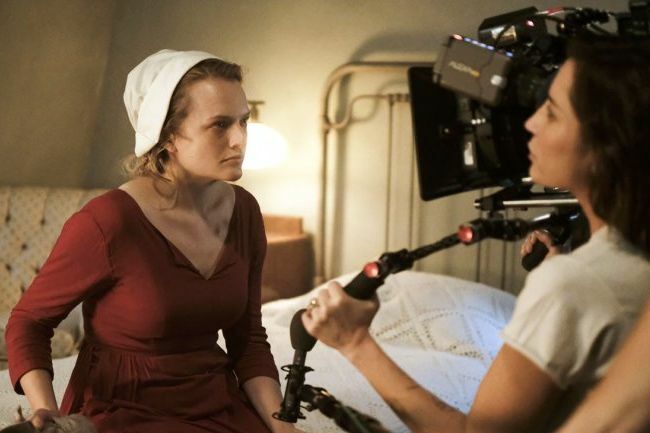 Obviously I love it and I would do whatever I can to be there.” We spoke with Morano, as well as Moss and series creator Bruce Miller, to break down how she brought her Emmy-winning vision to the screen. Morano directs Moss in episode two. The third challenge was how to translate the color palette as described in the book onto the screen. “Margaret has every color segregated,” says Morano, “so I knew right then and there the show was going to have powerful visuals, because I love to play with color.” She had a whole section in her look book on what she calls “color control,” meaning that only certain colors would be allowed in the frame at one time. She and her director of photography, Colin Watkinson, would then work to desaturate the overall palette, and oversaturate whatever they’d predetermined would be the prominent color of the scene, whether those were the red dresses of the handmaids, the blue dresses of the wives, or, in some cases, the irises of the actors’ eyes. “We did things selectively,” says Morano, “because I wanted to give the feel of an old photograph, where some colors just pop more than others.” She also took inspiration from the particular vibrant red and peacock blue of Technicolor pictures of the ’20s through the ’50s — and from Martin Scorsese’s re-creation of the Technicolor tones in The Aviator. Watching the show, you’ll notice that men’s heads are often cut out of the frame. 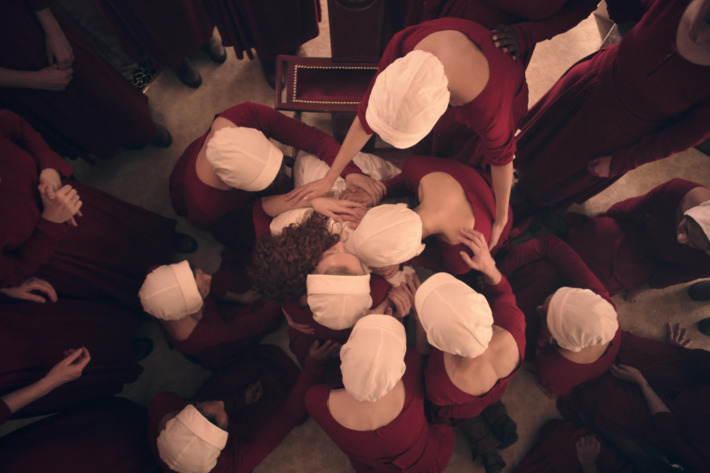 Morano says this isn’t an intentional commentary on the separation of men and women in Gilead, but rather a byproduct of trying to shoot almost everything from the perspective of the handmaids. In addition to using the 28mm lens almost exclusively for Moss, Morano would often shoot her with a handheld camera, while shooting others with a more static camera. “It was a way of separating Offred from other people,” she says. 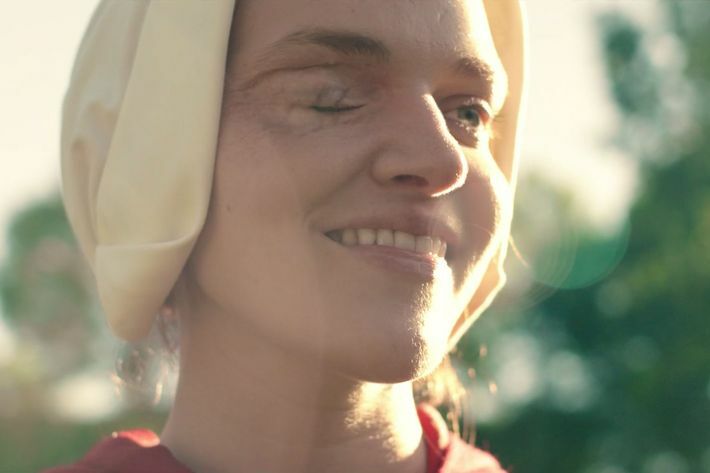 As for the breeding ceremony, when Offred is looking over the Commander’s body (Joseph Fiennes) and only sees his torso thrusting into her, “It wasn’t a conscious decision to cut his head out,” says Morano. “It was more about avoiding eye contact, so you could literally put yourself in the perspective of the handmaid. Like, occasionally, she could steal looks at him, and that’s when we see him. And when she’s not, she’s looking at something else and avoiding his eyes.” Whenever someone was in the scene, but not in the frame, that was Morano’s way of trying to make the audience see things from Offred’s perspective. 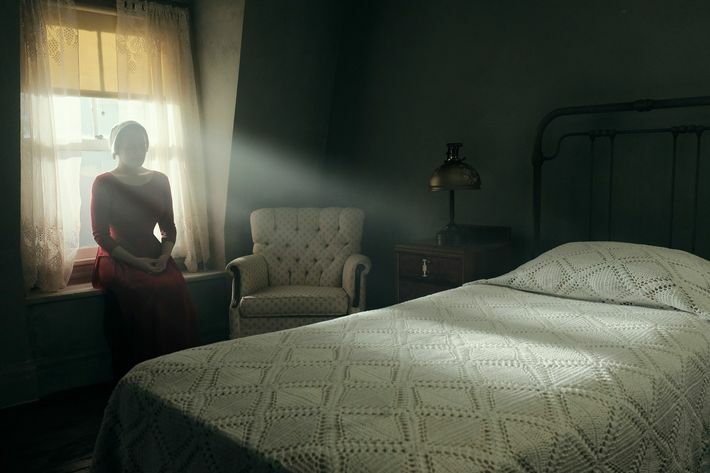 That great shot from episode one of Offred alone in her bedroom, after we’ve seen June get captured and her daughter taken from her, is meant to be gauzy and filled with diffused sunlight, like a painting. 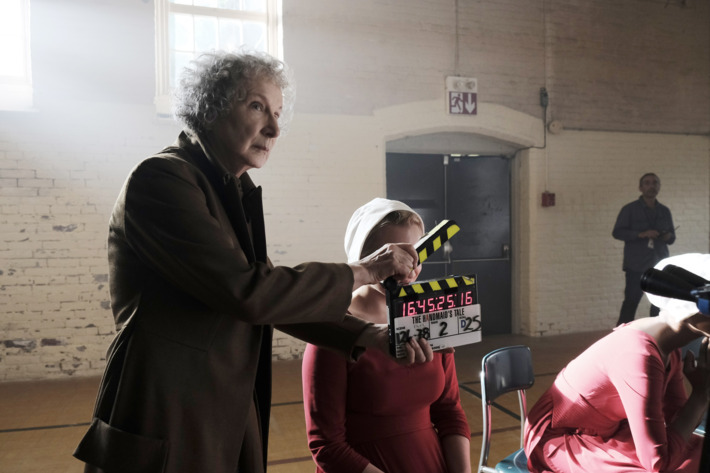 “That’s our first introduction to her as a handmaid,” says Morano, “and I liked the idea of not being able to see her face right away.” She and Watkinson had pumped in smoke to create volumetric lighting as a way of keeping the audience’s experience of Gilead mysterious for as long as possible. “We wanted it so you didn’t 100 percent know what she looked like or what we were looking at, but where it also felt very dramatic,” says Morano. 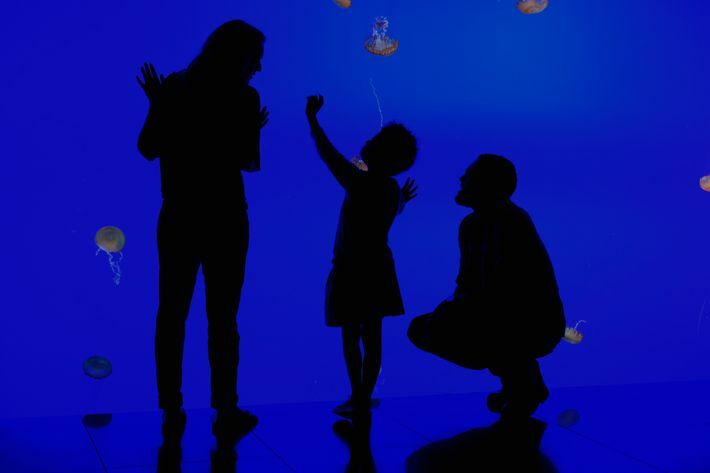 The episode-one flashback where June and her daughter stand in front of a wall of water at an aquarium wasn’t in the original script — they were supposed to be playing in a bathtub. 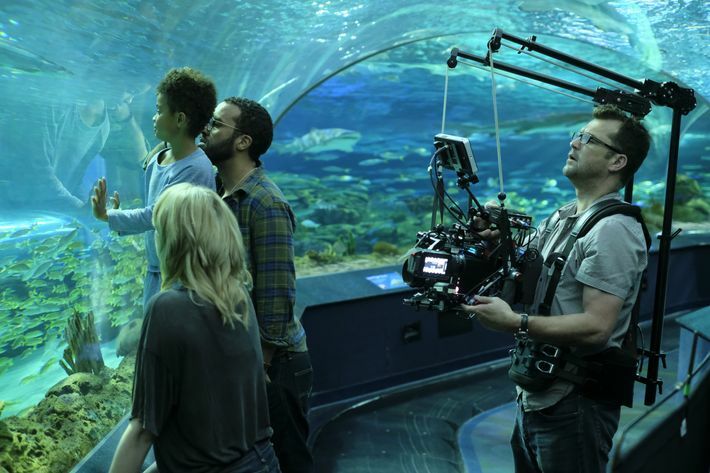 But Morano had taken her own young sons to the Toronto aquarium during preproduction, and, she says, “I was like, ‘Dude, like, we gotta shoot here.’” She kept pitching it and pitching it, and getting pushback from Watkinson, who thought it would look cheesy. But as luck turned out, production ran out of time to find a bathroom that worked, and building one would’ve thrown them off schedule. 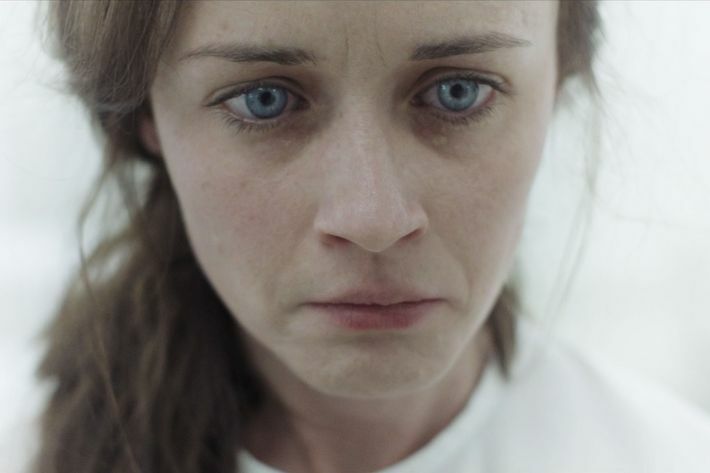 Among the most wrenching scenes of those first three episodes (and, surely, what helped get Bledel that Emmy) is when Ofglen, having lost her lover to that hanging, wakes up in a sterile room with her genitalia wrapped in gauze and realizes she’s been the victim of a clitoridectomy — and she’s being sent back into the Gilead to continue breeding. Morano shot Ofglen’s realization to what has happened to her all in tight close-ups.